Are you guys carrying Browning rods if so let me know so I dont have to give BPS any buisness, looking for the noodle rods UL 10'6. Thanks for the update, I'm curious to browse the new store. Is there any kind of grand opening event/sale planned for next weekend? I'm sure there will probably be a few people making there way out to langley for army & navy's annual fishing/camping parking lot sale this upcoming weekend. Come on by, make sure to say Hi if you do. cant wait.. will there be a line up? First off, Yes I ment May!!!!! There will be a GRAND OPENING, but this is not planned until Late May/Early June. This is just a soft opening as we are still waiting for some stock and still have TONS of work to do in the store, but it will be open for those who come by. We will be doing some MAJOR advertising for the GRAND opening and I will also make sure to post the dates and any other relevent info here to let you know. Rodney, we should talk some time about advertising for Wholesale Sports as well. --Cut back on inventory is worst thing to do. I agree maybe cut back on common items or manufacturers like zebco or quantum etc where price match is not possible if loyal customers owner might just have to deal with keeping small stock at a loss for convenience. --What the store should be doing is seeking new lines... ie go to ICAST show in Vegas and get some unique products.. Also check out local and smaller suppliers that will give competitive wholesale price. 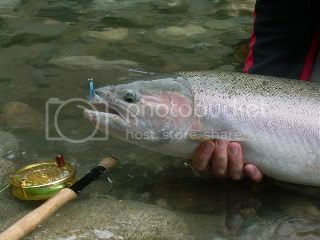 Get some specialty rods and reels or custom made rod services. --Wholesale Sports can be a plus... drawing new customers to the area who.. while they are there will check out the local shop as well. --I don't know about the rest of you but if I was in wholesale sports and passed a small shop on the way I couldn't resist taking a look. --I was just at the customer appreciation days in kelowna at troutwaters fly & tackle.. they had prices that rivaled or beat local Can tire plus full selection of Mobey nets and outcast boats at great prices. Can tire is only two blocks away. -I stop and shop at Wholesale sports when I'm in kamloops but as the Kamloops fly shop is only 1/2 mile away always make sure I stop in there as well to see what they have that's new. Sorry for all the confusion with opening, but it has been delayed due to unforseen circumstances. The opening is up in the air for now, Sorry once agin for all the confusion, and sorry to those who did stop by and did not get in. I will post details about it as soon as I get the info from the manager. I don't have internet access at work so I checked early this morning before leaving home to check the opening day and time, May 10 2010 9-9. I had made arrangements to meet my son there after work today and when we show up its not open. I had a couple of problems with WS in Kamloops and thought I would give them a try again. We were both looking to buy a Remington 870 shotgun, I also was going to pick up some gun cleaning supplies, accessories and look at some new camping gear. I was probably going to drop $1500 - $2000 on purchases, I sure won't be back!!! BTW there were a couple of other PO'd potential customers I talked to in the parking lot who had read on this site about the opening today and they probably won't be back either. Once again guys, I am sorry about the store not opening today. We had planned on opening today, and even had a meeting this morning with all managment. After the meeting we were told that due to unforseen circumstances, we were not able to open. I know that some of you did come out to the store to find it closed, thanks for stopping by and again I am VERY SORRY but it was beyond the control of ALL of us. Hope that you give it another chance during the grand opening on May28-30th. That's a confirmed opening date? That is the GRAND opening date. We may do a soft opening before that, but because of the uncertainty we will NOT be advertising the soft opening if there is one!! If you are in the area, check us out, we may be open sooner than the May 28-30th but don't make an extra trip because I can't be sure of opening before the Grand opening date of the 28th!! Listen guys I don't know Rick at all. I don't know WS. What I do know is construction and what it takes to get a store up and running. Big stores. As a site super it is what I do. To blame WS is not right. They are only acting on the information most likely from there GC. Sh! !te happens and nothing is easy about getting a big store running. Their are so many backoffice systems to ready and test and test and test. Inspections, sign offs from engineers, consultants, architects the list goes on and on. Rick I am sure was told a date and he has to go with that. Grand Openings change as well. It's just the way it goes in Large retail. Anyways I just wanted to get the point across that I am sure WS isn't jacking customers around. They are told a date and they have to run with it. These dates don't always work out and to blame the customer which is WS in this case is purely wrong. I have shopped in Whole sale sports in edmonton for yrs and have bought alot of stuff from from them.My favorite place to buy gear when i pass by on my way home to chilliwack from the tarsands.Exceptional selection,quality and prices.Glad to hear they are coming to langley.Often wondered why there was no store in the lower mainland.Sounds like now there will be! GREAT NEWS!